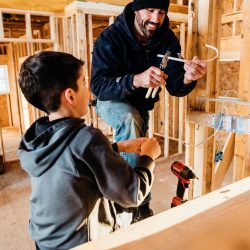 Grown Stepkid Moving Back In? I have a grown stepson who is now living at home, at the invitation of his father, to help him get on his feet. My problem is the total disrespect he shows me. He will do for his father (like go to the store, fix him dinner and pick up items for him). He will only have discussions with his father and he eats most of his meals in his room. I used to cook for both of them until he stated that I treat his father like a child. His father doesn’t want to push the issue, I am sure, because it will result in one of us having to leave. My stepson has also started arguments between my husband and me, and when this happens, my stepson goes into another room to listen to the argument. I do know that there is some guilt that my husband may be feeling because he sent his boys away when they were little. (Their mother is deceased). Lisa, I need to know how to handle this calmly without fighting and things being said that will be hurtful. Most of the time my husband doesn’t want to talk about his son and the issues. I am ready to move out of my home. Please lead me in a positive direction. This can be a tricky issue. It’s quite common for adult children to move into their parents’ home because of a financial or psychological crisis, says Dr. Grace Gabe, a psychiatrist and co-author of Step Wars: Overcoming the Perils and Making Peace in Adult Stepfamilies. But it can be especially difficult if a parent has remarried and/or has younger children still living at home. She suggests you and your husband should talk about these questions until you reach an agreement. Create some house rules — guidelines that apply to all your adult stepchildren and biological children. Share them with all the adult children in your family, she advises. Preferably before an adult stepchild moves in, prepare a written agreement that states the ground rules for living in your home for a specified period of time, with provision for renewal. This agreement should address the stepchild’s responsibilities for rent, food, household chores, telephone, utilities and noise levels. Periodically review the agreement; this will allow you to renegotiate after you have lived with each other for a short time. 2. Include an exit plan in the agreement. That’s particularly important if the adult child moved in due to job loss or divorce, both of which could become an indefinite stay. The adult children moving in are usually asking for temporary help. They should be able to give you a realistic plan for how and when they can become independent again. 3. Discuss issues with spouse. If the biological father is paralyzed by guilt about neglecting the child when younger, the stepmother might tactfully point out that allowing such behavior now is not helping the adult child develop useful social skills. 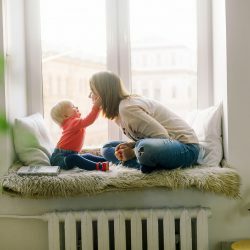 In many cases, however, it is necessary for the stepparent to have a one-on-one discussion with the stepchild about creating a mutually respectful relationship. “It’s important to let your spouse know you want to have that discussion. Ask him for suggestions about how to make the discussion go well. Take the time and be courageous enough to talk directly to your stepchild about how you treat each other. This can really improve the atmosphere. You can’t force yourself to be friends with your stepchild, but you can focus on being civil,” says Gabe. You might want to read chapter seven of Step Wars, which addresses this issue. Good luck with this difficult situation.